NEW YORK (WABC) -- The NYPD is trying to find the woman whom they say attacked another woman at a subway station n the Bronx. It happened Jan. 28th at the Fordham Road subway station in the vicinity of East 188th Street and Grand Concourse. According to police, a 56-year-old victim who uses a cane to walk, paid to gain entry to the subway station and used a gate to enter the station. An unidentified woman followed the victim without paying and when the victim informed the individual to pay, she became angry following the victim to the southbound platform. The suspect threw a large cup at the victim and grabbed her hair and proceeded to punch her in the head with a closed fist, causing the victim to fall. The victim was not hospitalized and the individual fled. 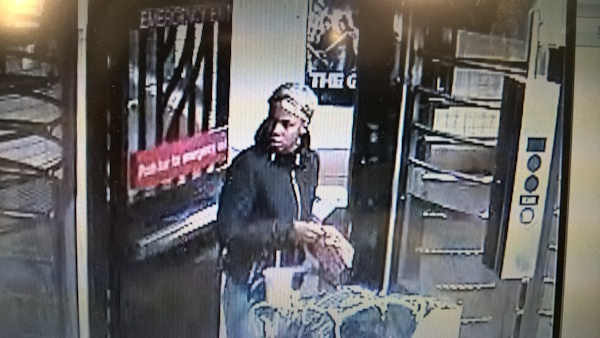 Police describe suspect as an adult black female who is 18-22 years old 120lbs, 5'4"-5'6", who was last seen wearing a black hooded jacket, blue jeans, a scarf on her head. She was last seen fleeing on foot with a child in a stroller.